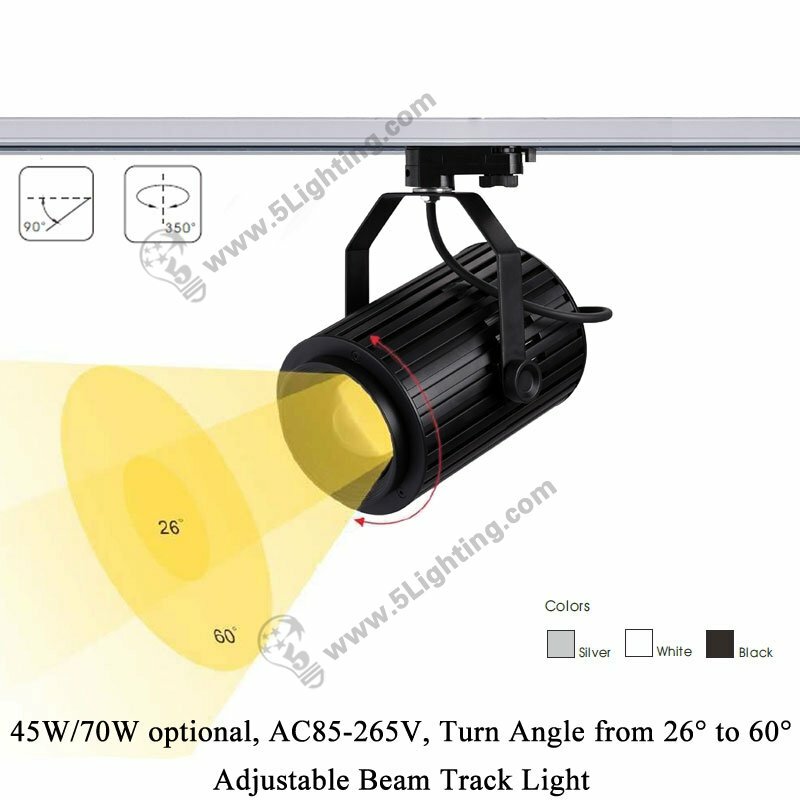 Adjustable beam track light 5L-018K, adjustable led track lighting fixtures. 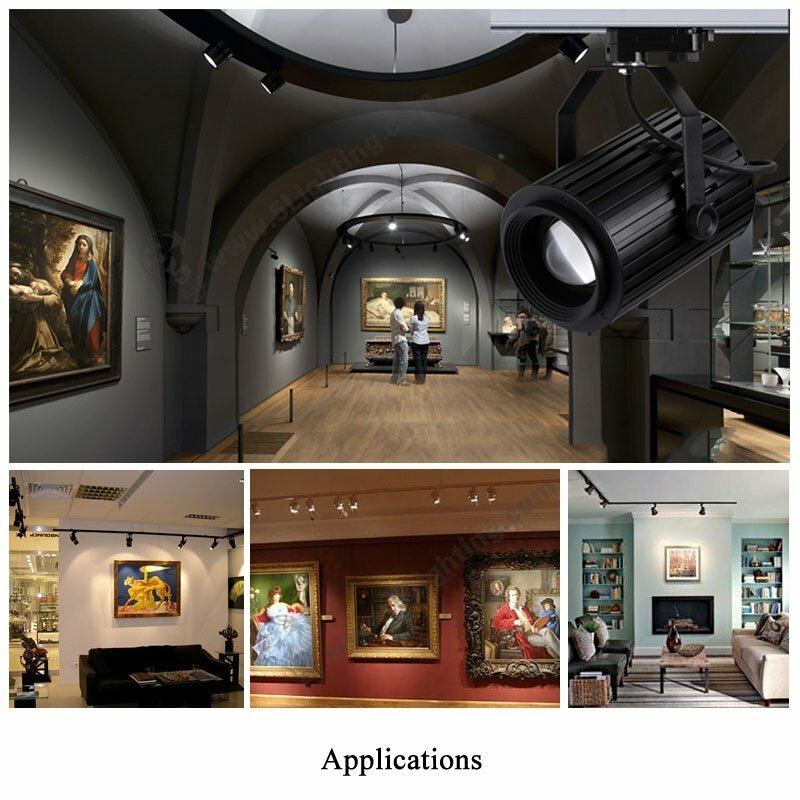 Application: Suitable for museums, galleries and high end retail applications. 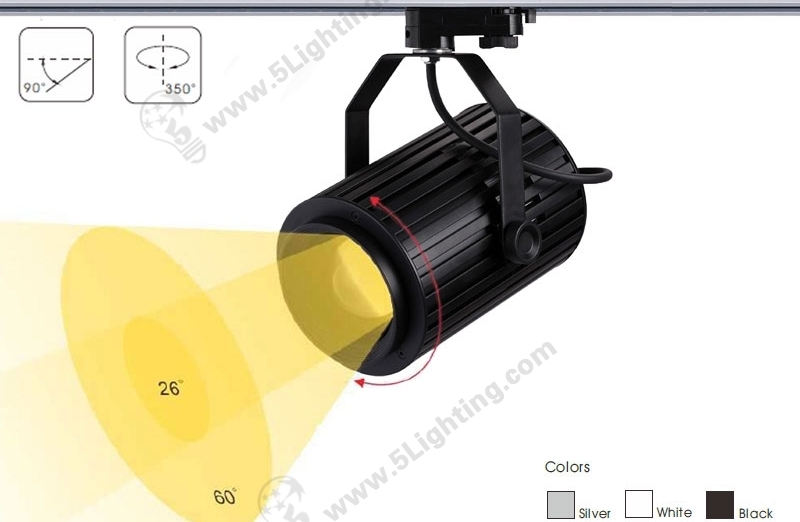 f): Easy for installation of this adjustable beam track light 5L-018K, it can be installed by a hook or disk, also can connect with 2 wire, 3 wire and 4 wire track lighting parts and various of connectors when customers need to install a number of track lights. 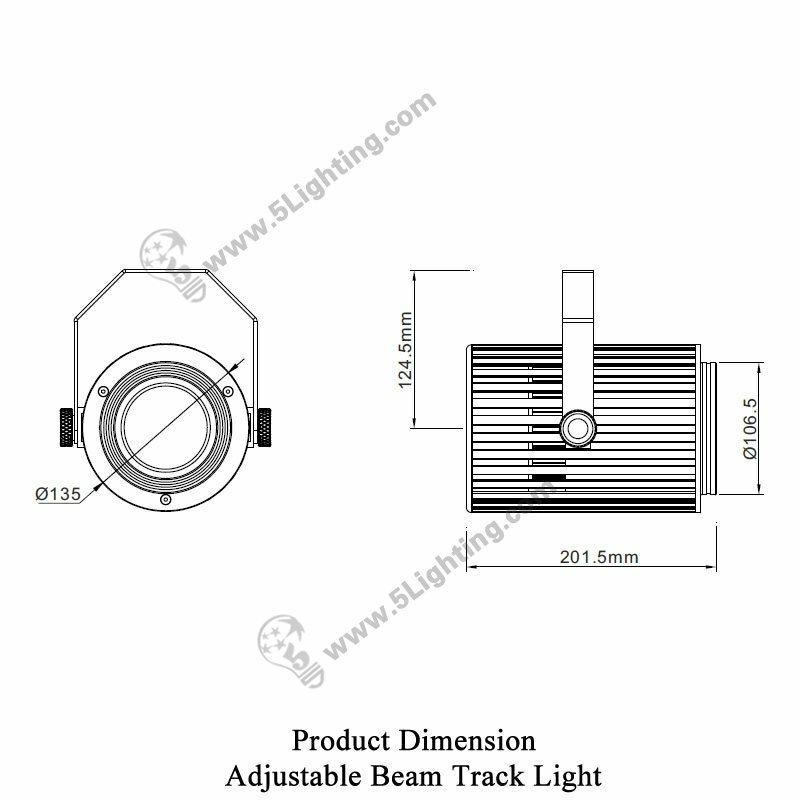 Factory direct sale adjustable beam track light 5L-018K with unique design that its beam angle can be adjustable from 26 degrees narrow angle to 60 degrees wide angle, flexible enough for customers to change lighting range according to requirements, perfectly fixed for commercial usage, like: shopping mall, art galleries and other places. Other applicable scenes: Back lighting, Shelf Lighting, Step Lighting, and other green lighting projects. Applications: Suitable for museums, galleries and high end retail applications. 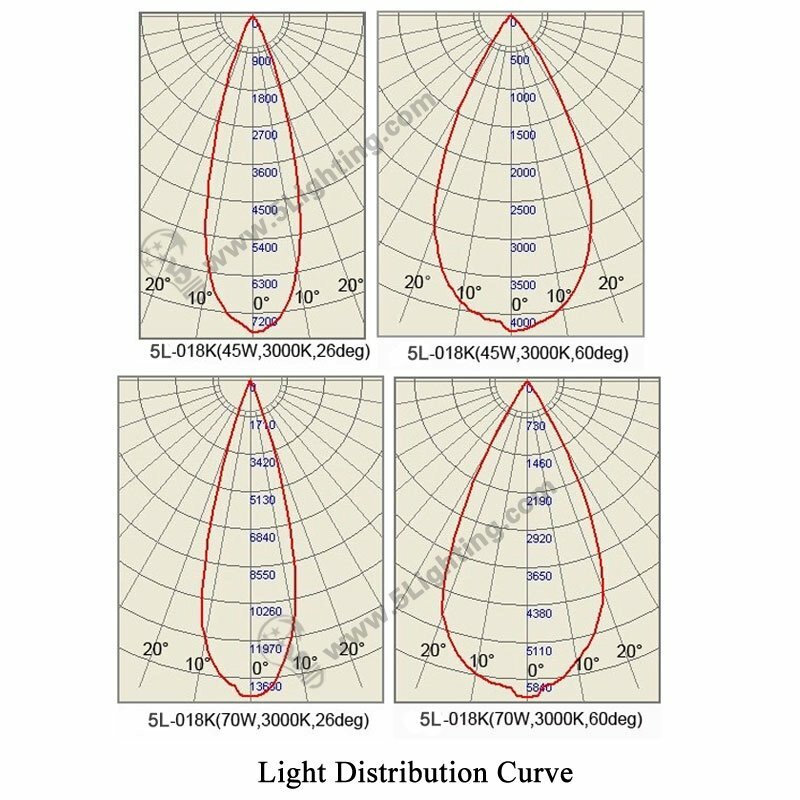 Beam angle adjustable LED Track Lighting for your reference!